I will proclaim that I am not a Christian. For the past five years, I have not placed myself under that man-made label. Please, don’t call me a Christian. I am human being on the journey of life just like anyone else. I make mistakes. I am far from perfect. I don’t believe the sins of others are bigger than mine or that I’m holier than them. I am a humbled daughter and servant of God, a disciple and friend of Christ, the Master’s Apprentice, completely forgiven and set free by Christ, a vessel in the Master’s hands, a woman who passionately seeks to know God more intimately and personally, and a person who is ever experiencing and learning the true meaning of how God is boundless and unconditional love and how His love never fails. I’m not one to usually hold hands with anger. I tend to typically hold hands with sorrow. And yet, as I think, talk, and journal about recent events and express my sorrow to God, I am filled with anger. My anger is not directed at specific individuals, per say. My anger is directed at a mentality and behavior of many who claim to love God and Christ and profess to be Christian. Their “talk” doesn’t match their walk or behavior. Professing to be “little Christs” (which was the original meaning of Christian), they behave nothing like Christ and love nothing like Christ. Throughout what’s been taking place, I have been reminded about a book that I read five years ago called unChristian:What a New Generation Really Thinks About Christianity…and Why It Matters by David Kinnaman and Gabe Lyons. Five years ago, I wrote a review on the book and posted it here. unChristian is a book I highly recommend all Christians read. Christians could really benefit from being aware of how they are perceived by non-Christians—who are the majority of the world’s population. Why am I saying these things that may offend Christians? As a woman who loves God and Christ, I believe I can call out the self-righteous and hypocritical behavior of those who also claim to love God and Christ. I am not making unfounded judgments. I am making judgments based upon actual behavior. Before I continue, I also want to make it completely clear that I do not believe, nor am I claiming, that all Christians act self-righteous and hypocritical. While it’s true not all Christians behave that way, most unfortunately, the attitudes I’m calling out are way too predominant in Christian churches, organizations, and families. Recently, our daughter boldly and publicly professed she is bisexual. While her dad and I have clearly expressed to her that we do not approve of her entering into lesbian relationships and that at this time we believe it is a sin, it does not change whatsoever the immense, unconditional love we have for her or how we treat her. Our daughter holds the same exact place in our hearts and in our family that she always has. As far as who she is to us, her place and participation in our family, and the privileges of being part of our family, nothing has changed and nothing will. She is still our very precious, special, beautiful, and unique daughter, and she is still God’s. However, as far as Christian organizations and churches are concerned, she is suddenly being treated like a leper to be thrown outside the camp. I want to vomit at the Christian clichés spoken to her, and to us, as excuses for their hypocritical, self-righteous behavior. Even though she is a daughter of God, she is no longer acceptable enough to sing and praise God with the youth’s worship team as she has done for many years. Though, the church leadership does say she can still attend the youth group, she cannot sing with the worship team. While singing with the youth’s worship team, our daughter was not promoting a bisexual agenda or inviting the students to follow her choices. She was only singing and praising God and inviting the other youth to join her in that worship. Even though she is a daughter of God, she has also been banned from being able to go to the beloved horse ranch where God has been ministering to her soul for many years through her connection and love with horses. While visiting the horse ranch, our daughter was not promoting a bisexual agenda or telling others that they should be doing what she’s doing. She has gone there simply to love on horses and connect with them and to feel the utmost joy in riding a horse. What is her crime worthy of banishment from the worship team, the horse ranch, and from some friendships? Simply, her public transparency in stating where she currently finds herself in life and with the choices she is making. We are ALL sinners! ALL humans are sinners, including all the humans who profess to believe in Christ. Every day, a Christian commits one type of sin or another. On any given day, a Christian may commit the sin of lying, being prideful, wrongfully judging, being arrogant, coveting, being rebellious, gossiping, being unloving, being quick to anger, lusting, or being hateful to their neighbor, just to name a few. Countless of those sinning Christians are today still enjoying the privilege of singing on the worship team, being part of church leadership, teaching Sunday school, and attending the horse ranch while not having confessed or repented of their sins. If the Christian churches and organizations are going to throw outside the camp every Christian who commits a sin, they ALL need to go outside the camp! Seems to me people are throwing stones at our daughter without seriously examining their own lives. These people throwing stones are telling our daughter and us that because our daughter came out so publicly with this sin and she isn’t repentant, they are justified in their actions to strip her of participation or banish her altogether. Christian churches and organizations are full of people who are sinners in one way or another, but because they are keeping quiet about their struggles and sins and pretending they are righteous and sinless, we can continue to keep them in the camp. Don’t ask, don’t tell, and we’ll continue business as usual letting the quiet sinner continue to participate in Christian activities while some of those very people make “I’m holier than you” judgments about those who do tell and are transparent and kick them to the curb. What a hypocritical, self-righteous bunch of BS! At the time when someone needs loving, compassionate care the most, they are treated as lepers and forsaken outside the camp. Loud and clear, they are given the message: “Until you say you’re sorry or get your act straight, we can’t include you in our camp”. 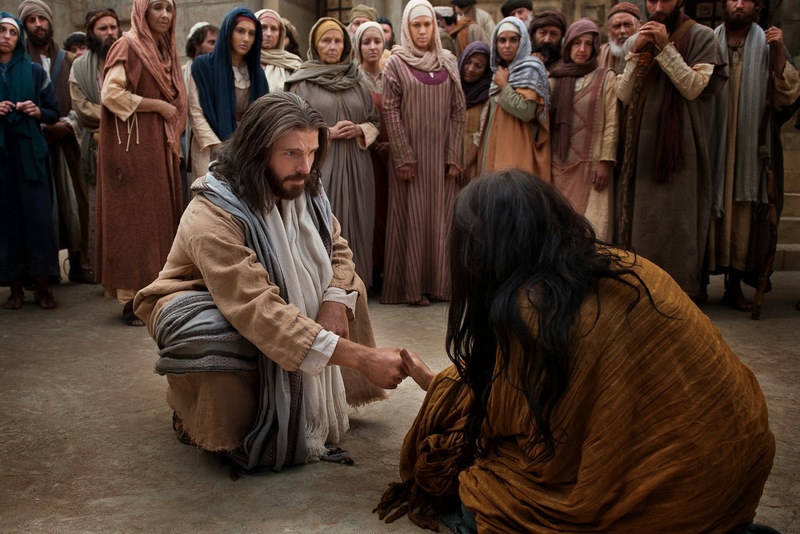 This is not how Jesus Christ treated sinners during His earthly ministry. Not at all. Too many Christians are professing the amazing grace of God now given to us through Christ while judgmentally behaving more like God during the era of law and sacrifices narrated in the Old Testament. Christians behaving like this toward our daughter are far from acting like Christ. They do not represent Christ whatsoever. Jesus Christ cared for the sinners, reached out to them lovingly, ate with them, forgave them, taught them, showed them compassion, and talked with them. He did not treat them like they had cooties. 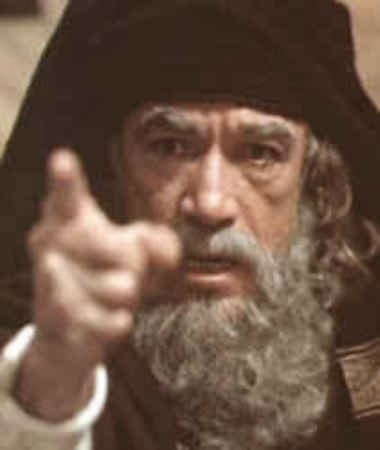 Meanwhile, He harshly called out the Pharisees—those very similar to the self-righteous, religious, Christian law-keepers of today who are acting like they are holier or better than our daughter. We do not make ourselves holy or righteous. Our choices do not make us holy or righteous. Our holiness and righteousness rest solely upon God and Christ and what they have done and continue to do within us. Let no one be so arrogant to think the wise choices they have made in the past or make in the future have anything to do with how holy and wise they are or are not. It has nothing to do with our human decisions. Holiness and righteousness are about GOD’s plans, will, and actions and Christ’s sacrifice. 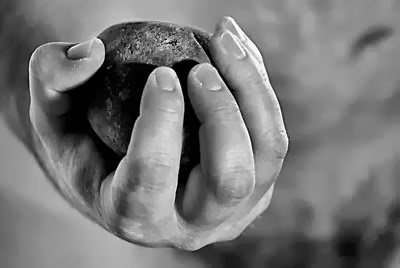 It is about God’s work with us as He is the potter and we are mere lumps of clay molded in His hands. Too many Christians wrongfully take way too much credit for their faith and righteousness and think too highly of themselves. We are saved in grace, through faith, and it has nothing to do with a person or what they do or don’t do. It is God’s present to us. We have absolutely no right to boast about any thing. Wherever we find ourselves in life, we are to boast in the LORD only! We are not products of our own selves! WE ARE GOD’S ACHIEVEMENT! May Christians not only lay aside the sins they typically like to call sins, but may they also lay aside the sins of “my sin is not as big and bad as yours” so “I’m holier than you”, self-righteousness, and conditional love and acceptance. May Christians never, ever forget that their faith or maturity is not a product of their own doing or the wise choices they have made in their life. Their faith and maturity is an act of God. Faith is written and matured by Christ working in us because He is THE author and perfecter of our faith. Let those who are wrongfully judged or thrown outside the camp take heart. Jesus Christ endured hostility by sinners Himself, many of those being religious, self-righteous sinners (the very ones who called for His crucifixion). During His earthly ministry Christ was attacked by the religious elite, not by the struggling, downtrodden sinner. Take heart sinner and turn to Christ. He knows, He understands, and He does not want the struggling sinner in this world to grow weary and lose heart. His hand is reaching out with unconditional love and help. 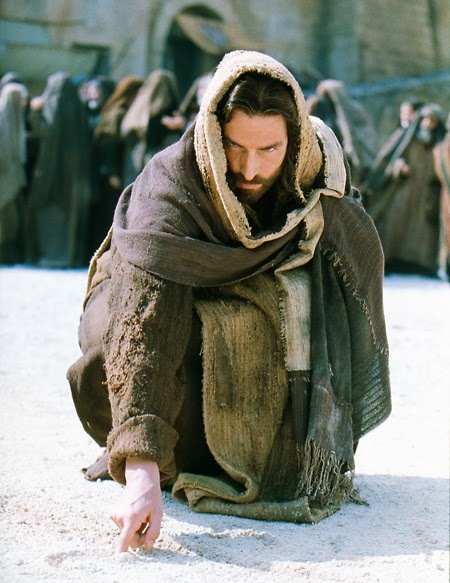 To those who judge and hold the stones aimed at the sinner, Jesus Christ calls out and says: “…he who is without sin among you, let him be the first to throw a stone…”. I am thankful that throughout my 46 years of life on this earth, it has always been God’s kindness which has led me to any wise choice or repentance. Not once has my repentance come because of the accusations, condemnations, or judgments of fellow believers or because they condemned me to be outside the camp when I wasn’t behaving the way they wanted me to. Thank you, God Almighty, for your never ending loving kindness, patience that bears all, and super-exceeding grace! I am God’s workmanship and so is our daughter. We are ALL God’s workmanship. I am praising God for that and trusting in Him and His handiwork that He will faithfully carry on to completion! I also want to extend a huge, heartfelt thanks to the friends and family, Christian or not, who have expressed sincere love and care for our daughter and us (regardless of how they feel about her current choices) and who have not changed the special place she holds in their hearts and lives. Thank you! THANK YOU! 36 Now one of the Pharisees was requesting Him [Jesus] to dine with him, and He entered the Pharisee’s house and reclined at the table. 37 And there was a woman in the city who was a sinner; and when she learned that He was reclining at the table in the Pharisee’s house, she brought an alabaster vial of perfume, 38 and standing behind Him at His feet, weeping, she began to wet His feet with her tears, and kept wiping them with the hair of her head, and kissing His feet and anointing them with the perfume.